• Provide recommendations to enhance our reputation as a top learning and research community. • Advise us on program direction and career trends. • Help us establish partnerships with key individuals and corporations. • Participate in our fundraising efforts. • Advocate for us both within Iowa State University and in the larger community. 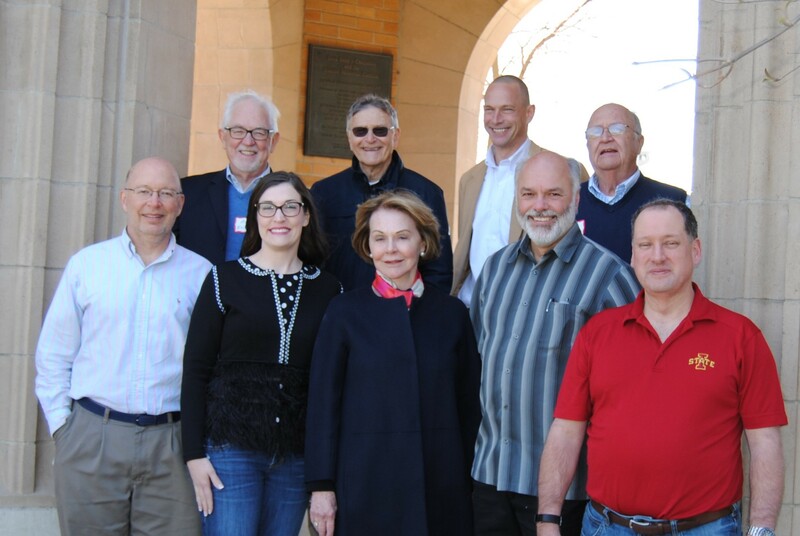 The next meeting of the Mathematics Advisory Council will be April 12-13, 2019 in Ames. We look forward to a productive exchange of information regarding the Mathematics Department’s future endeavors. Back: Al Erisman, Don Pigozzi, Hal Schenck, and Bill Geddings. Front: Tim Pennings, Kira Barclay, Barbara Janson, Bob Antol, and Scott Kongable.